On 25 February 2016 the European Parliament adopted a resolution on the Humanitarian Situation in Yemen. The resolution was voted in favour by the majority of the house, with 449 votes in favour, 36 against and 78 abstentions. 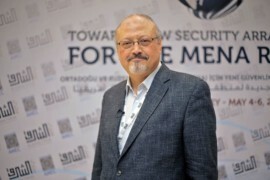 The European Centre for Democracy and Human Rights (ECDHR) welcomes the vote and adoption of this resolution today, in particular the positive vote on the amendment containing an arms embargo against Saudi Arabia, as it puts the spotlight into the violations of humanitarian law carried out by Saudi Arabia in the conflict in Yemen. Today’s resolution comes after months of humanitarian distress and disproportionate acts of war in Yemen, which have caused at least 5,979 deaths, almost half of them civilians. Further, millions are at risk of displacement, malnutrition and being caught in cross-fire and military action. The Houthi rebel forces and the Saudi-led coalition in Yemen has been a big contributor, and cause, to such dire situation and are directly involved in breaches of international humanitarian law and unlawful killing of civilians and medical staff, parties always considered neutral during international armed conflicts. ECDHR is concerned about the Houthi rebels siege of the town of Taiz, Yemen’s third largest city, deliberately obstructing the delivery of humanitarian aid. ECDHR therefore condemns the breaches of humanitarian law committed by the Houthi rebel group throughout the conflict. ECDHR welcomes the repeated mentions to Saudi Arabia and the Saudi-led coalition in the text of the resolution, as the Saudi-led coalition has been conducting airstrikes in Yemen hav(ing) hit civilian targets, including hospitals, schools, markets, grain warehouses, ports and a camp for displaced persons. It further criticises the naval blockade Saudi forces have imposed on Yemen, which directly translates into a serious emergency situation for the millions of Yemeni civilians trapped in the conflict since nearly 2.1 million people are currently estimated to be malnourished, including more than 1.3 million children suffering from severe acute malnutrition. Of particular importance is the amendment added to the resolution and voted today calling for an arms embargo on Saudi Arabia. The European Parliament called on the European External Action Service to take steps to implement an arms embargo against Saudi Arabia in view of their violations of humanitarian law in the Yemen war. ECDHR fully support the initiative of an arms embargo against Saudi Arabia and further calls on the European Union to imposes stricter controls and follow-ups on the EU Common Position of Arms Exports Control 2008/944/CFSP, which, as the Parliament points out in the text explicitly rules out the authorising of arms licences by Member States if there is a clear risk that the military technology or equipment to be exported might be used to commit serious violations of international humanitarian law and to undermine regional peace, security and stability like the conflict in Yemen does. According to these rules, no European Union country should be exporting arms to Saudi Arabia, especially not in the context of the Yemen war and the current instability in the region. ECDHR calls on the European Union to further voice its concern over the humanitarian situation in Yemen and to appeal to all means available to put an end to the conflict and make all parties to the conflict accountable for their violations of humanitarian law. We further seek a rapid lift on the naval blockade on Yemen imposed by Saudi Arabia and ask the European Union to ensure that Yemeni civilians and neutral parties to the conflict receive the necessary water, food, goods and medical supplies.